*Work up to a heavy set of 15 today. This should be 4-6 total sets of 15 reps starting with the empty bar, working up in weight each set. Focusing on time under tension and stability over a number of reps.
*The walk should be a recovery. Just move and recover. Push the pace on the row and the second run. The focus is running hard that last 400m each round when your legs are blown up. *Work on some positioning and time under tension. These shouldn’t be too terribly heavy. All sets should be at the same weight. *Rest exactly 1 minute after each round. This is very grip intensive! The scale for muscle ups today is 8 pull ups + 8 Toes to Bar! *Work up to 80-85% and hit 3 singles there. Work on technique today. This should be heavy but you should feel like you’re technically sound and could have lifted just a little heavier for the day. 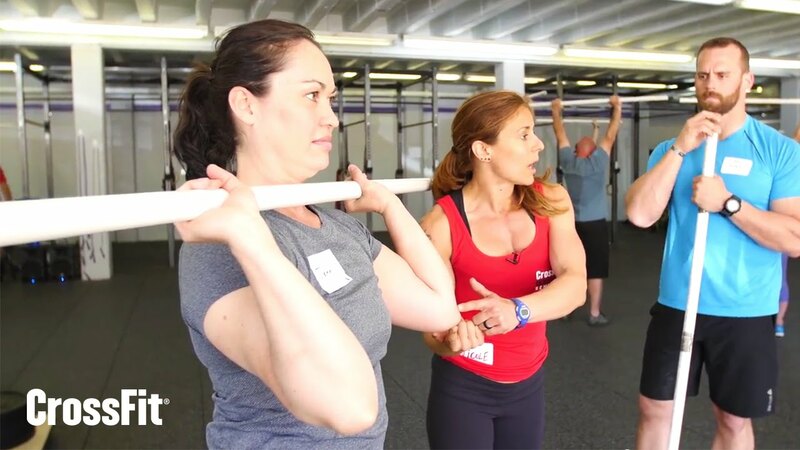 *Share a bar with a partner if needed and you can alternate sets on it. Pick weights you can do each set in no more than 3 sets. Ideally no more than 2. *Work up to a heavy set of 5 for the day. Do 5 Strict Pull Ups after each set. Use a band if needed and really work on a full range of motion. *Alternate on the rower in fast 10-15 cal increments. One person working and one resting the whole time.